Leslie, Ben, and Jerry/Garry each end up serving long, distinguished careers in high political office (with some insinuation that one of them even ended up in the White House). Donna and Craig ended up fabulously-wealthy and happily married to their respective soul mates, living lives of leisure and philanthropy. Tom and Andy both experience great creative fulfillment and fame. 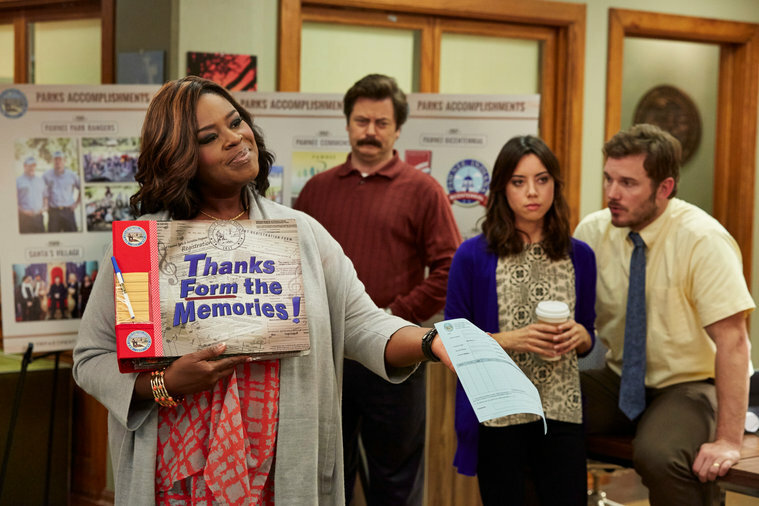 And Ron gets appointed as the superintendent for the new National Park established just outside of Pawnee, spending his days roaming the park by foot and canoe. Then I remembered John 13. I recently re-read this chapter and wrote in my journal: “A choice to follow Jesus is a choice to wash feet, do slave labor, and lead with love — not power or money or fame or personal comfort.” Do you remember this passage from the Bible? How Jesus started off with washing his disciples’ feet? How he talked through all the ways that his closest companions were going to let him down through betrayal and denial? And then he instructed them to lead with love? I’m praying that the Holy Spirit will be active in our midst this year, creating a palpable sense of love among us, so that we can bring God’s love to others, as well… I’m praying that we will receive what we need — through prayer, through worship, through conversation, through Scripture — to feel fully empowered as agents of reconciliation and peace and servant-leadership here in Kent. But I’m also praying that I will keep my eyes on a sort of “Flash-Forward” to the Great Banquet described in the New Testament of the Bible. Where no one has to worry about position or privilege anymore, and everyone can just rejoice that we get to be with Jesus in His Kingdom. This entry was posted in Church, H2O Kent, Introspection, Kent, Leadership, Recommended Viewing, The Bible. Bookmark the permalink.